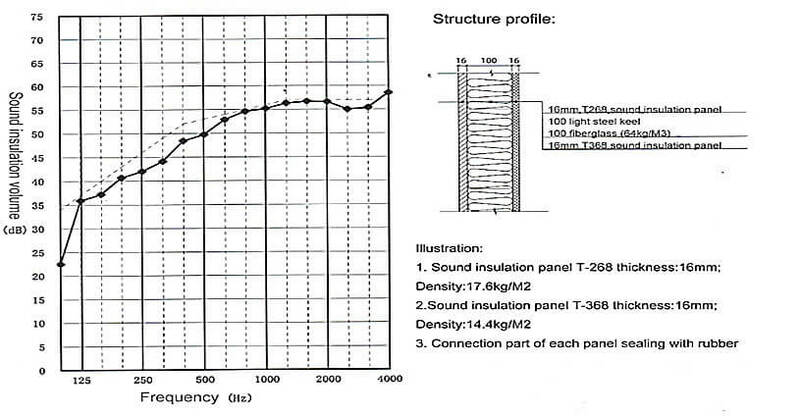 T-268 composite sound insulation panel double side using different density inorganic material, pressed with polymer impedance rubber, sandwich structure high –pressure composite molding, forming a damping constraint structure .Which change the raw material resonance frequency and multiple increase material air sound reduction index and structure sound reduction index. T-568 metal damping acoustic panel front and back adapt the different density and thickness inorganic material. The core layer is the soft aluminum metal panel, double polymer damping materials free glue high-pressure composite molding. The corn layer soft aluminum has an obvious isolation characteristic on high frequency and ultra-high frequency. High density front and back panel has a good sound insulation effect for the low frequency. 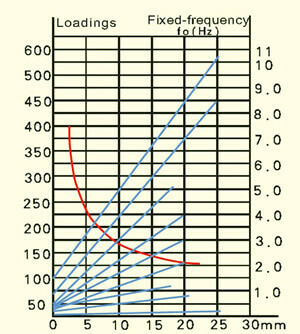 Double damping constraint structure produces high efficiency on low frequency and ultra-low frequency transmission. 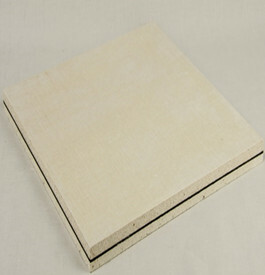 Deadening felt is a kind of high performance high quality and also has an excellent transmission loss of polymer metal sound insulation pad. With 90% high purity fine iron powder ,which not contain halogen renewable polymer as raw material,green environmental protection also not contain asbestos and benzene formaldehyde emission materials which harmful to human body. 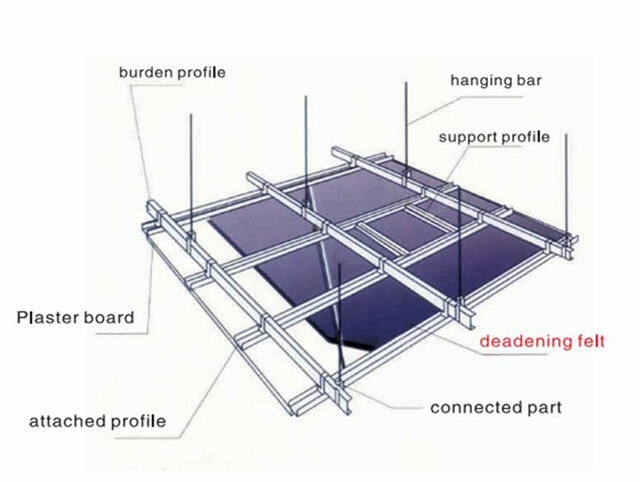 Deadening felt has a good fire resistance, temperature resistance ,elasticity, flexibility and tensile strength. It can use wallpaper knife or scissor tool to cut, for the architectural acoustics fixing use code nail or agglutination. 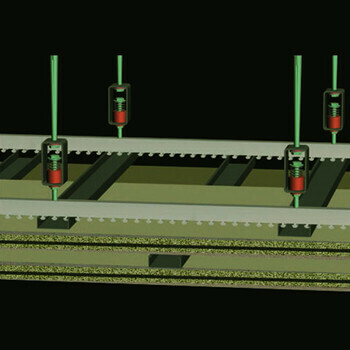 For the mechanical equipment arrangement can use sheet metal structure with card pin oragglutination. It is a very convenient construction and a confluent material which not limited by the shape, structure and space. Is widely used at building industry,home finishing, factory workshops, machine rooms,air compressor space, meeting room, multi-function hall, KTV room, office and car etc. 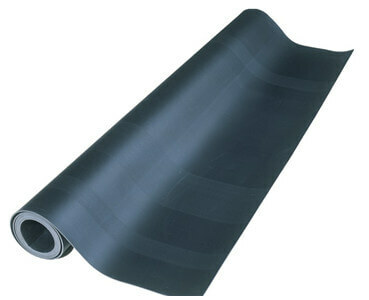 Sound and shock absorption mat is made from 10mm high density polythylene after nanometer technology. It is a kind of eco-friendly,economical and durable product. It can be used more than 70 years. The floating building structure of building is created by elasticity of nano-foam, which cut off the effect of solid-borne sound transmission,improve the coincidence effect of upper surface and resistance of sound. Acoustic energy in ears frequency band produces cavity resonance by mini hole of nano-foam,which eliminates the sound energy and reduce the sound and knocking. Applications: mainly used in KTV,disco,gym,machine room, home theatre, upscale residential discricts and so on where making noise. 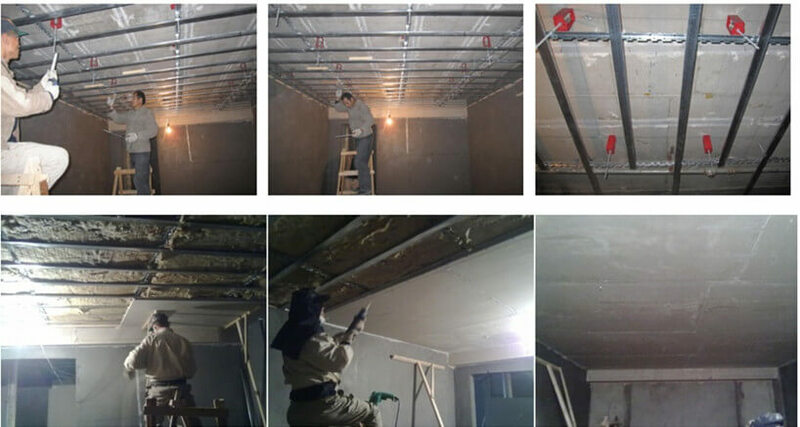 Anti-vibration component there are ceiling absorber, wall absorber, ground absorber, acoustic vibration damping rubber five kinds Ceiling absorber is an effective way of sound transmission for the shear hung ceilings and original foundation floor ceiling structure. 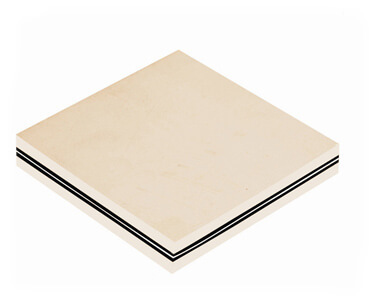 Wall absorber is suitable for wall to increase acoustic structure layer fixed installation. 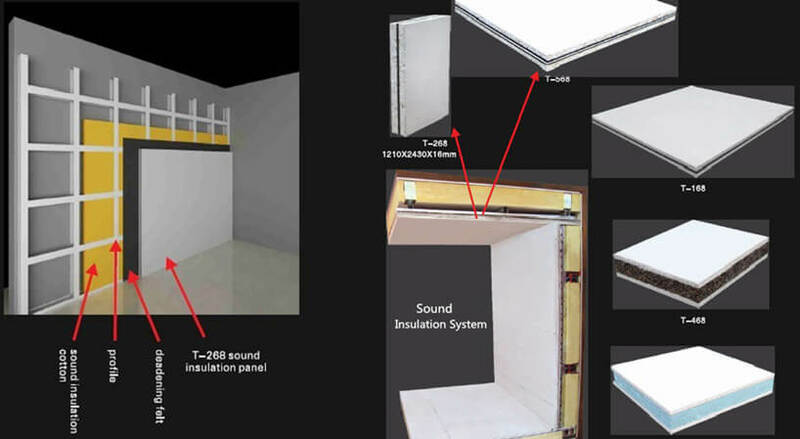 Which From the hardware quality guarantee the permanence and safety of the damping sound insulation effect. 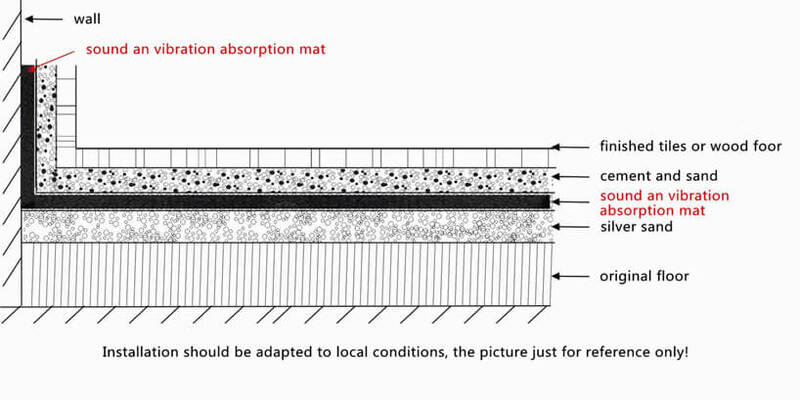 Wall absorber is suitable for wall to increase acoustic structure layer fixed installation. 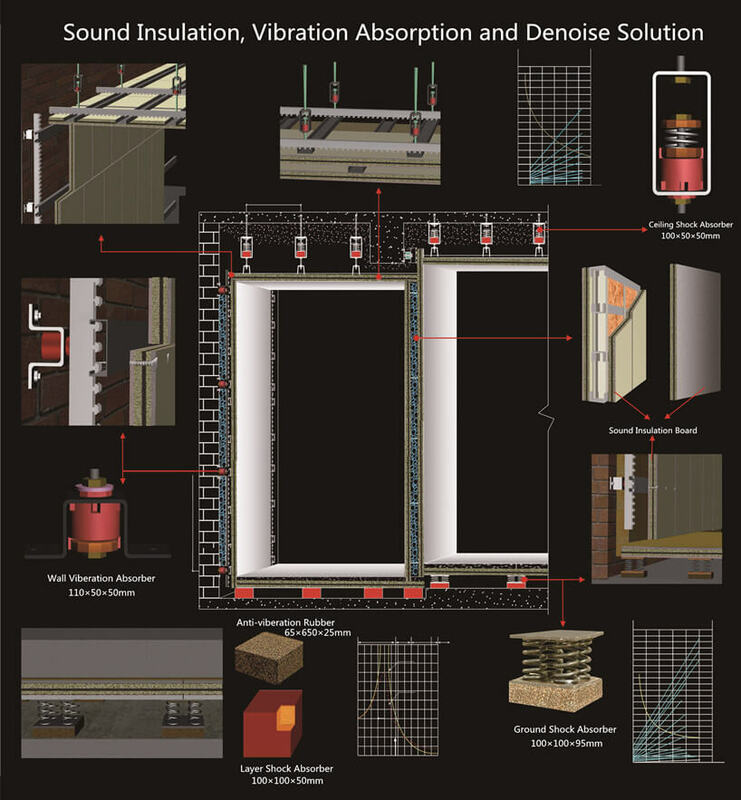 Which From the hardware quality guarantee the permanence and safety of the damping sound insulation effect. 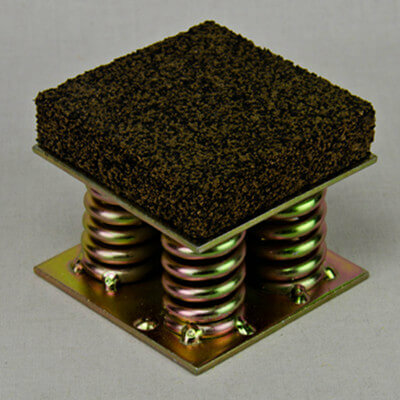 G-6 ground absorber adapts the short stroke super memory metal vibration spring, absorber bottom board sticks to polymer damping vibration rubber brick and forms double material broadband vibration structure .Using the ground absorber to build the floating floor can effectively shear vibration radiation layer influenced on the original base layer, so as to improve the floor isolated the low frequency vibration and crash sound performance. 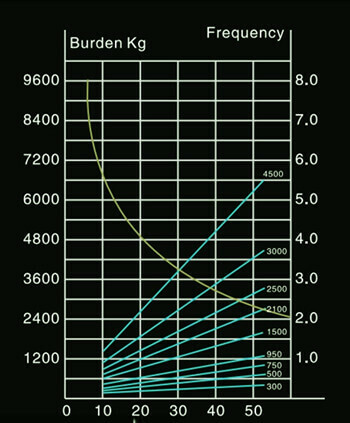 G-6 ground absorber is suitable for large energy low frequency and ultra-low frequency indoor vibration structure. 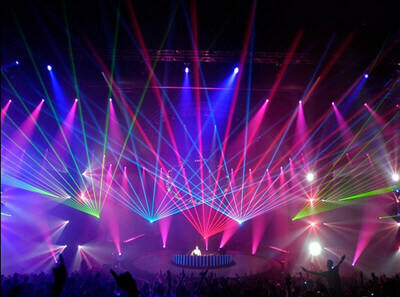 Such as Disco bar ,equipments room. floating floor construction, ultra-low frequency speaker,equipment main engine and vibration source suspending bracket structure. and weaken broadband ratio vibration wave. Fiberglass is an insulating material made from fibres of glass arranged into a texture similar to wool. 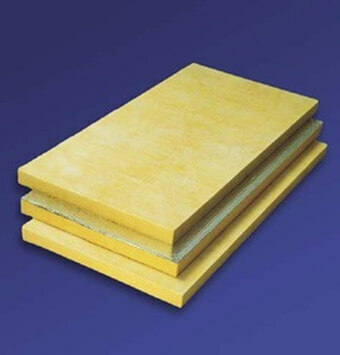 Glass wool is produced in rolls or in slabs, with different thermal and mechanical properties. After the mixture of natural sand and recycled glass at 1,450 °C, the glass that is produced is converted into fibers. It is typically produced in a method similar to making cotton candy, forced through a fine mesh by centripetal force, cooling on contact with the air. The cohesion and mechanical strength of the product is obtained by the presence of a binder that “cements” the fibers together. 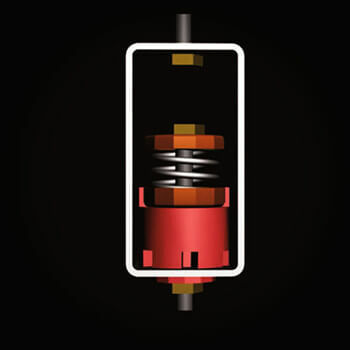 Ideally, a drop of bonder is placed at each fiber intersection. This fiber mat is then heated to around 200 °C to polymerize the resin and is calendered to give it strength and stability. The final stage involves cutting the wool and packing it in rolls or panels under very high pressure before palletizing the finished product in order to facilitate transport and storage. Glass wool is a thermal insulation that consists of intertwined and flexible glass fibers, which causes it to “package” air, resulting in a low density that can be varied through compression and binder content. 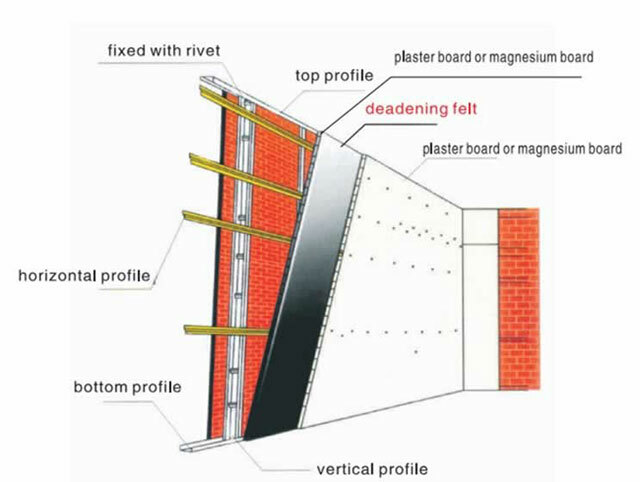 It can be a loose fill material, blown into attics, or, together with an active binder sprayed on the underside of structures, sheets and panels that can be used to insulate flat surfaces such as cavity wall insulation, ceiling tiles, curtain walls as well as ducting. 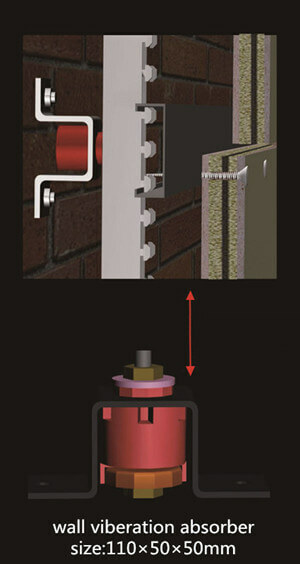 It is also used to insulate piping and for soundproofing. 10. Customized selected Acoustic solutions. Feiye Acoustic gives you one stop sound insulaiton solutions, Employeed first rate acoustic designer and interior designer. We have a whole set of computer controlled and automatic machines and professional technical workers to ensure high quality. Welcome you from home and abroad to visit us.